VIDEO: Tips and advice for players making the move from cash games to tournaments with @ElleSriracha. Understanding some common mistakes cash game players make when moving over into tournaments. While tournaments remain an especially popular form of poker, a number of players — especially those who concentrate primarily on live "brick-and-mortar" games — favor cash games. When such players make the move over to tournaments, they discover quickly how the games differ, with strategies that worked in the cash game arena needing to be revised or tossed out altogether in the context of tournaments. 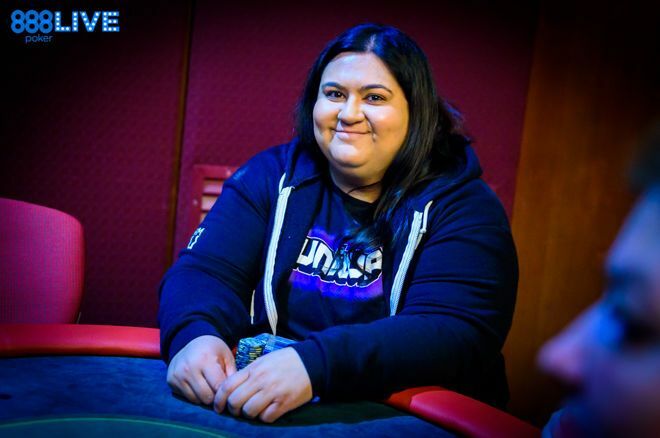 Recently PokerNews' Sarah Herring caught up with our colleague Aleeyah Jadavji who after focusing more on cash games has been playing more tournaments of late, and Jadavji shared some good advice for others making a similar move. You may recall Jadavji from her recent experience playing in the PokerStars Players Championship in January, an adventure which she's continued with a plan to play more tournaments during the coming year. As Jadavji explains in the video below, there are a number of adjustments cash game regulars need to learn to make when playing in tournaments. One of the most significant concerns the constantly changing stack sizes in tournaments, not always a factor especially in deep-stacked cash games. "Unless you're just a mega-chip leader, you're just going to be getting shallower as the tournament goes on," Jadavji explains. That makes learning how to play different-sized stacks such as "the awkward 30-40 big blinds" (and less) and also how to play against opponents with shallower stacks is a crucial part of tournament strategy. Also important, of course, is understanding what some tournament players call "chip utility" or the relative value of the chips in those constantly changing stacks. As Jadavji points out, when making decisions, you have to ask questions regarding the proximity of the cash bubble, how your stack compares to your opponents', and what the consequences are when getting involved in a hand. "If I try to make a move, how much is it going to hurt me?" asks Jadavji, giving an example of the sort of question tournament players ask themselves constantly. For more tips about making the move from cash to tournaments, check out "Making the Transition from Cash Games to Tournaments."